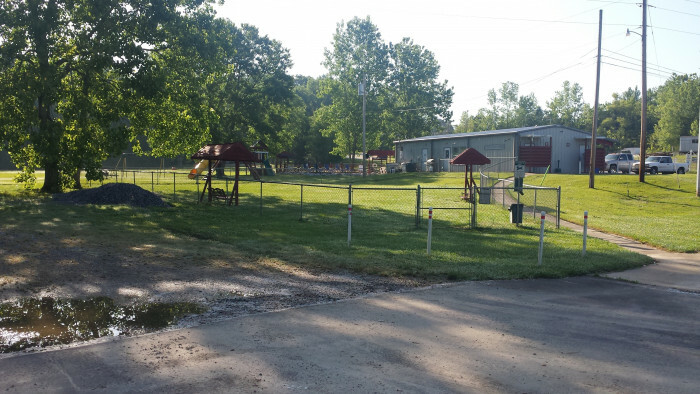 Ask fellow campers about "Magnolia RV Park Resort" and nearby attractions. Very nice owner. Park was pretty. Bathrooms were secure. We camped at Magnolia RV Park Resort in a Truck Camper. For me this park is overnight only and I'm not likely to stay here again - I'll look for something better. It is mainly rusty old travel trailers used by construction workers. Some trailers were so decrepit there were weeds growing out of cracks in the roof and they were still being used. We camped at Magnolia RV Park Resort in a Motorhome. Walmart and several service stations are just down the road less than a mile. 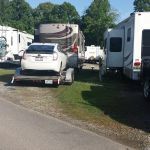 Park has lots of amenities and nice staff, but it needs to be on a larger acreage; the pads are way too close together (our 2' sl) and the roads are not wide enough to allow parking and motorhome travel. On departure, we had to ask two residents to move their vehicles so we could get our motorhome through the narrow road. Very nice fenced dog run, clean bath facilities, nice water feature. Park's web site leads you to believe it's near a Wal-Mart and an easy access to I-20; don't believe everything you read. The Wal-Mart and restaurants are near the freeway exit, but the park is way down a very narrow winding road, so it's not easy access to I-20. Turning radius into and out of the park is very tight. WiFi exists, but signal is very weak and spotty. Only thing we could do is download email. Otherwise, we'd lose signal and have to reconnect. We camped at Magnolia RV Park Resort in a Motorhome. Shop before getting to the site - there's nothing in the immediate vicinity. Close. Good overnight. Would stay here again. We camped at Magnolia RV Park Resort in a Fifth Wheel. The park roads were dirt and barely maneuverable with a 36' DP motorhome. The sites were very narrow, and although they had "grass", which is more important if you have dogs, the grass was very sparse, and if it has rained, it's more mud than grass. There was a cable TV connection, and it worked fine, but there were no OTA TV stations available. The water was easy to connect to, but had poor pressure, and the sewer connection was significantly above ground level, making it difficult to make the connection and get fluids to it. The RV parking pad was gravel and was in poor condition. The WiFi connection was fairly easy to connect to, but the internet bandwidth was only about a 4/10, so it wasn't very useful. Verizon cell signal was 4 out of 5 bars. We don't use restrooms, showers or pools, so we can't render an opinion on those items. There was a dog park for our 4 footed friends (we travel with 3 golden retrievers). We did not notice any significant road noise, but noise like that doesn't bother us anyway. The price was OK for the services received, and the staff was friendly and helpful. Just note that it is at the bottom of a hill, and when we were there they had gotten a lot of rain, and it was very messy. We were supposed to stay 2 nights, but felt like we were going to float away, so we left after the first night and went elsewhere. We would not stay here again. We camped at Magnolia RV Park Resort in a Motorhome. Great for an overnight. Most sites seem to be local live ins, but all are well kept and the folks we met were all friendly. Wifi works better than most, the site was level and it was quiet. We were checked in by a staff member, who was great and told us where to go shopping. It's not a resort, but it's great for a night on the road. We camped at Magnolia RV Park Resort in a Motorhome. 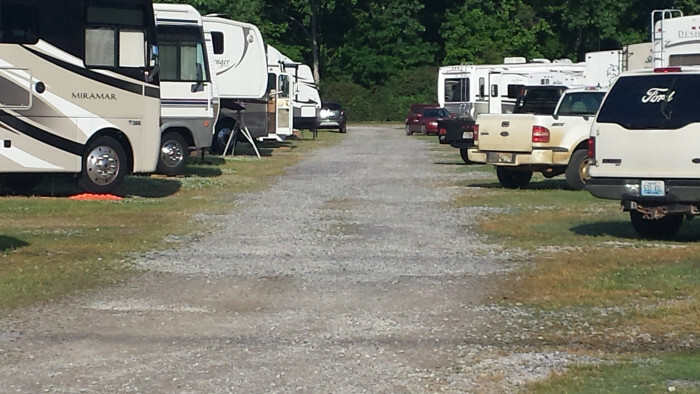 Magnolia RV Park, Jackson, MS. $29.00. This park is OK for an overnight stay, but no longer than that. Mostly long term residents or seasonal occupants. There appears to be 6 or 8 pull through spots for short term or overnight guests. The utilities were functional and in good working order, although the water pressure was a bit weak. Our spot (No. 8) was level and clean. The spots are very close together, we were fortunate that the spots on either side of us was empty, so enough space was available, but if they were occupied then it would have been tight. The park has a nice dog park and play lot with play ground equipment for children, although no children were seen. There is a pool but it was closed for the season. The park manager mentioned a gym, but we did not use it. There is a video library and book exchange in the office. The park was clean and looked to be adequately maintained. Easy access to I-20 without the noise. I would overnight here again. We camped at Magnolia RV Park Resort in a Motorhome. There is a large Walmart about 1/2 to 3/4 miles away. Close to I-20 but without the noise. Quiet park with campers parked close together but enough room to put out slides. 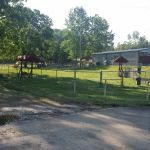 Looks like the owner does most of the work/maintenance and there doesn't seem to be enough time for all the chores ...like mowing the grass/weeds throughout the sites. There is a lawn area and a dog park. All hookup were adequate. I consider Magnolia to be a one night stopover on your way thru Vicksburg. We camped here in our motorhome W/toad. 50/50 whether we stay next time or try another park. We camped at Magnolia RV Park Resort in a Motorhome. Very convenient to the interstate but far enough that there is no traffic noise. The roads are narrow but easy to get in and out of the sites. The sites are narrow. Our neighbor had to put their awning in some to allow our slide to go out. They were sitting right outside our windows. The owner was super nice and helpful. The WiFi was great and fast. Because of the tightness of the sites we would look else where next time. Good for a night or two. We camped at Magnolia RV Park Resort in a Motorhome. 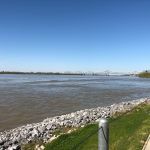 We visited the Vicksburg National Military Park. We attended church at Crossway Church just down the highway. Awkward zig-zag entry - as soon as you go thru the entry you have to make an immediate left, so if there are any vehicles at the office, you'll just have to block them in. One-way paved road with gravel sites. OK utilites, weak wifi. Lots of sketchy permanents and unused rigs. When the park flyer reminds all that we're law-abiding citizens and no illegal activities are allowed.....Hmmmm. We'd stay elsewhere next time. 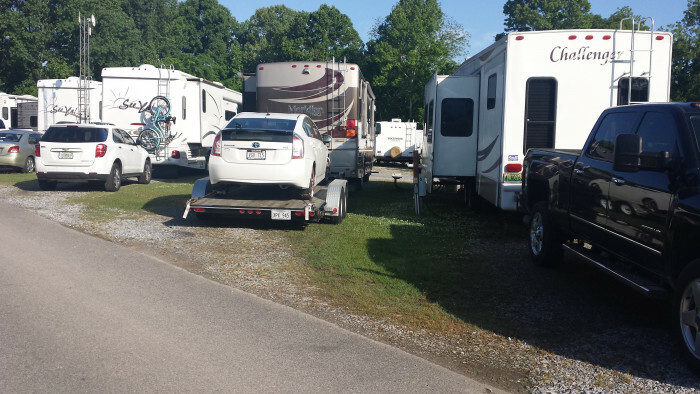 We camped at Magnolia RV Park Resort in a Fifth Wheel. This is no resort. However it is a an okay RV park. Park owner?/manager was very accommodating and made himself very accessible. To get my Escapees discount the payment for my one night stay was cash only. All sites are packed gravel with a thin strip of grass between you and your neighbor. Your "patio' is your neighbors utility connections. Power was solid with no voltage dips despite the campground being packed full and temperatures above 90 degrees with A/Cs running full blast. Water pressure okay and sewer connection was in good shape. Wifi was good until late evening when everybody was online, their system just couldn't handle all the traffic and connections were dropped and not able to be reaquired. Verizon signal was good for jetpack and voice calls. My site was a very convenient pull through, fairly level with no tree obstructions for satellite. However it was not big enough to hold both my 5th wheel and truck when disconnected. I asked, and got permission, to park my truck perpendicular across the driveway in order not to hang out into the very narrow road in front of me. 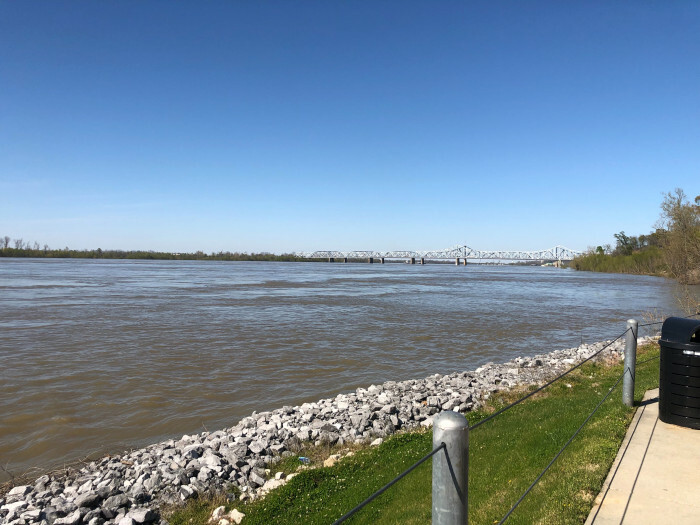 If a campground in the Vicksburg area was my destination I would probably pick one of the nearby state parks or COE facilities for a multi-night stay or camping experience. But if passing through as I am, this RV park works. We camped at Magnolia RV Park Resort in a Fifth Wheel. The Vicksburg Battlefield National Park is a must-see if you are even the slightest history buff. This is a small park with many permanent residents. Some of the units are older with clutter around them. The office manager was very nice and checked out our site before we pulled in. It was convenient to the Vicksburg Military site. Easy in and out of the park. We camped at Magnolia RV Park Resort in a Motorhome. Close to casinos and to the Military Park. The Tomato stand nearby has great produce and is a Deli worth eating their Cuban Sandwich. We would stay there again. I arrived after official office hours but they stayed open until I arrived. Although spots are very close together, everything is well-maintained. The dogs loved the dog run. We camped at Magnolia RV Park Resort in a Travel Trailer. A little off the main road so just about the time you think your GPS has mislead you, you will find your destination on the right. This site actually makes arrangements for late night visitors. I had called ahead and prepaid though. I dont recall a camping site sign on the interstate exits, but I consider this a hidden gem. The owner reserved me a end site where I simply pulled into. My neighbors were a mix of all races and class, but I felt safe enough to grill out the only time on my trip. A picnic table was nearby. I had a full hookup. My only concern was my proximity to the Mississippi River and the parking area being so low, but it was not a problem. I would stay there again. We camped at Magnolia RV Park Resort in a Travel Trailer. 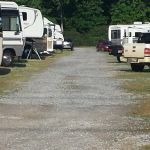 Are you affiliated with Magnolia RV Park Resort ?